So, I made a few changes to my blog again. The most obvious would be the new banner up top. I had the Nanoha banner for a while so it was time for a little change. 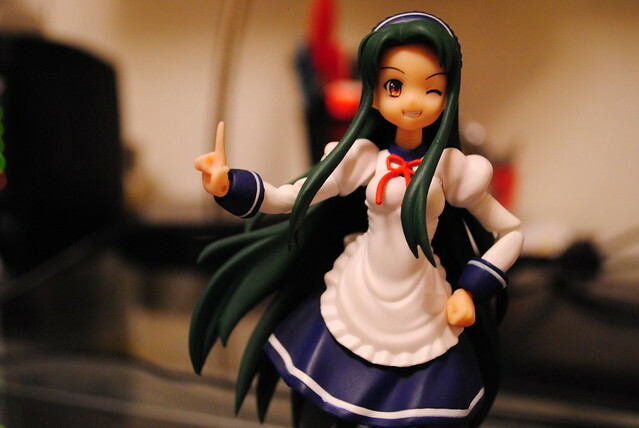 I went and used the picture from when I played around with three point lighting. I also went and spiced up the "Figure Photo Shoots" page. Before I just threw in some pictures there linked to the appropriate post for the figure and called it a day. Not very appealing, in fact people never really used that page much. So, I made some banner page linking to the figure posts. While the banners are not the most original or creative, they do make for a prettier looking page which was mostly what I was after. Plus adding the name of the character should make it easier to recognize the figure rather than some random picture. 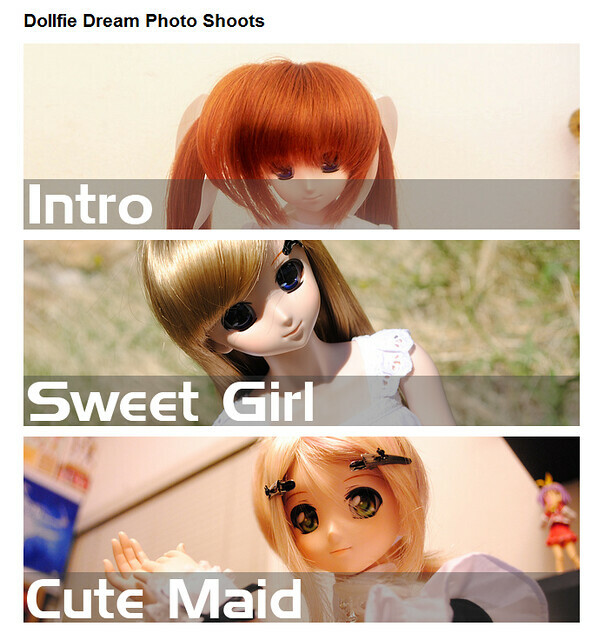 I went a did a "Dollfie Dream Photo Shoots" page for my Nanoha dollfie as well. Now you can take a look at her intro and the couple of shoots I done of her.